The mirror shine on the Maple finish of this Romano dressing room reflects the light around your room, with sleek surfaces that are smooth to the touch. Ingenious storage features add practicality, while smaller details, such as LED up lighting, bring an air of glamour to your morning routine. Whatever your fashion collection consists of, we have a number of clever solutions, including adjustable hanging space and slide out shoe racks, to effortlessly accommodate your every item. 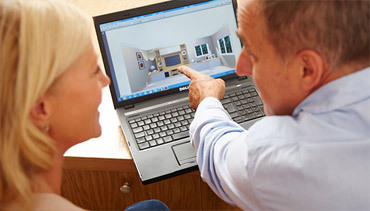 Make your morning routine that little bit easier with our designer touches and clever solutions. This Romano dressing room features elegant glass fronted drawers, allowing you to browse your clothing collection at a glance. They also feature a soft close function as standard, for a smooth and silent operation every time. 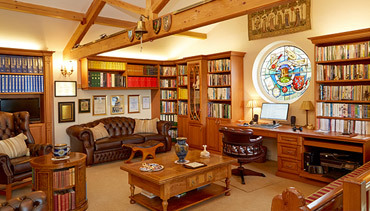 Don't let any space in your bespoke dressing room go to waste. 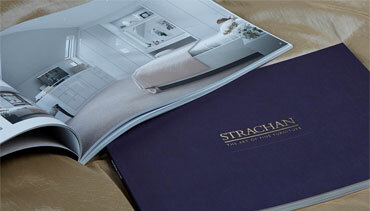 At Strachan, our contemporary furniture designs can be configured to include two-tier hanging rails. 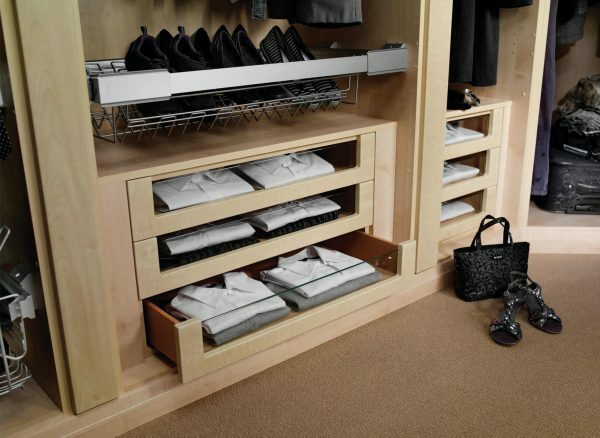 These provide floor to ceiling storage, while ensuring your clothing is kept looking at its best. 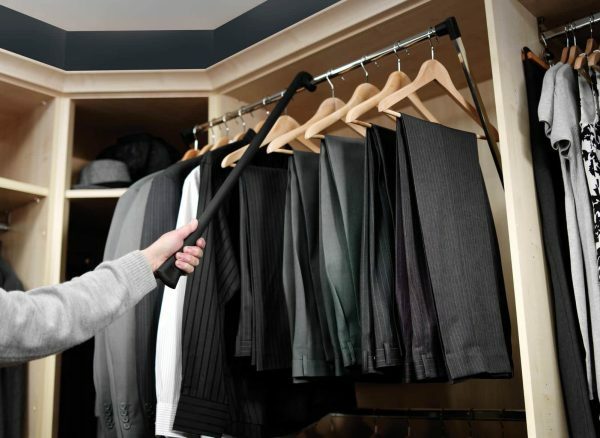 With our convenient slide out racks, you'll never have to wear a creased pair of trousers again. 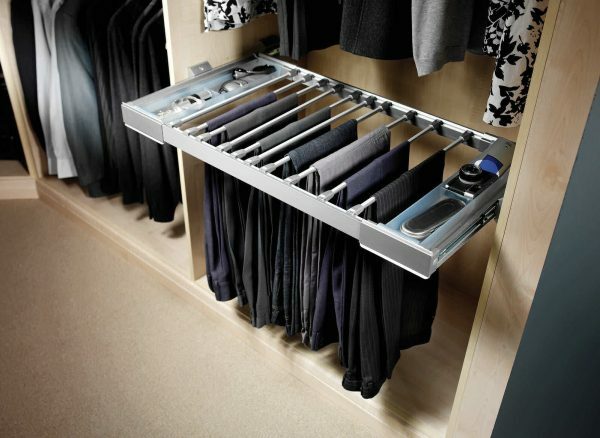 Extending the full width and depth of your fitted unit, this handy storage feature can display all your trousers neatly and without risk of crumpling or creasing. The easy to use slide out function means they can be stowed out of the way with easy access whenever you need them.